Enjoy an outing filled with learning, exploration and enjoyment, by taking part in the Kerala Folklore Museum trip. The marvellous place is always flocking with visitors, and is one of the most visited places in Kochi. The only architectural museum in Kerala boasts of essence of life and culture of common man over the past 1000 years. The delightful experience will bring a good learning about the evolution of common man and development embraced over the decades. Witness the museums antique pieces, wood and bronze sculptures, ancient terracotta, Stone Age objects, jewellery, paintings, oil lamps, musical instruments, tribal and folk art, wood works, utensils, masks and traditional art works. The wondrous tour will be guided by a learned guide, who will show you around 4000 artefacts of all sizes. The unique cultural project provides a great insight into the art, tradition and rich heritage of Kerala. 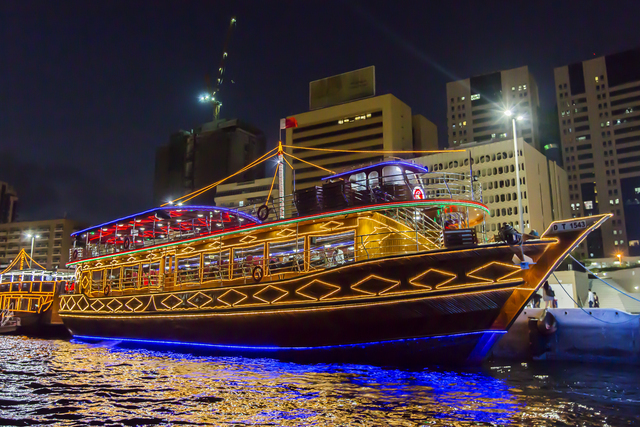 Dine at a romantic dhow cruise overlooking Dubai's magical waterways. Experience Old Delhi, intense and full of history.